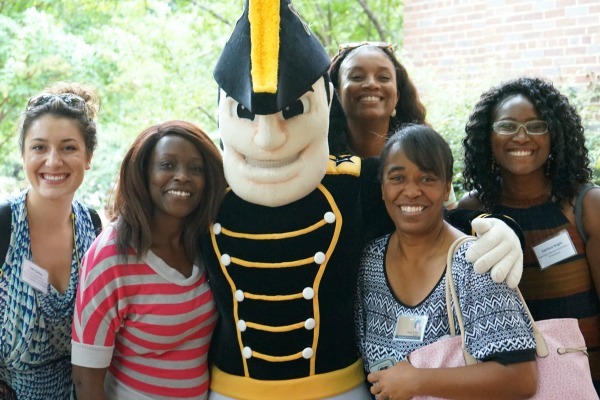 The Vanderbilt University School of Nursing welcomed 474 new Master of Nursing Science, Doctor of Nursing Practice (DNP) and Ph.D. students in a series of orientation events Aug. 16-28. The new class included the school’s first cohort of eight executive leadership track DNP students. The incoming MSN class of 402 included 187 students who hold Bachelor of Science in Nursing degrees and are beginning their master’s studies. These students concentrate on specific health care specialties such as adult-gerontology acute care, neonatal and women’s health. Also pursuing specific specialties are 32 students who have already earned MSNs, but wish to add further specialization with Post-Master’s Certificates. 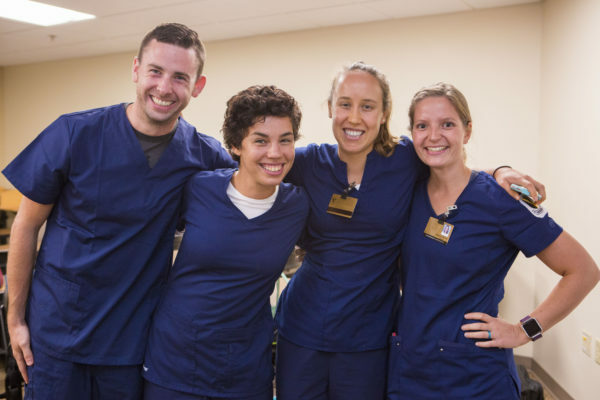 An additional 171 students entered the MSN program with degrees in fields other than nursing; these PreSpecialty students spend three semesters in intense, full-time foundational prelicensure studies before continuing to the three-semester specialty component and the completion of their MSN degrees. The incoming class also includes 12 students in the school’s ASN to MSN program for registered nurses who already have associate degrees in nursing. 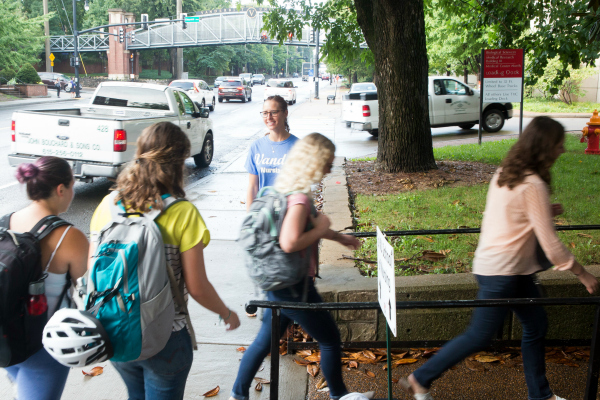 Among those students are 25-year-old Todd Baer and 27-year-old Kevin Baer, who may be the first pair of brothers in the VUSN program at the same time. The two brothers entered the PreSpecialty program together, with Todd choosing to become a family nurse practitioner and Kevin selecting the psychiatric-mental health nurse practitioner program. The DNP program admitted 65 new students, eight of whom are enrolled in VUSN’s new executive leadership DNP. The executive leadership track was established for nurses in top organizational roles. 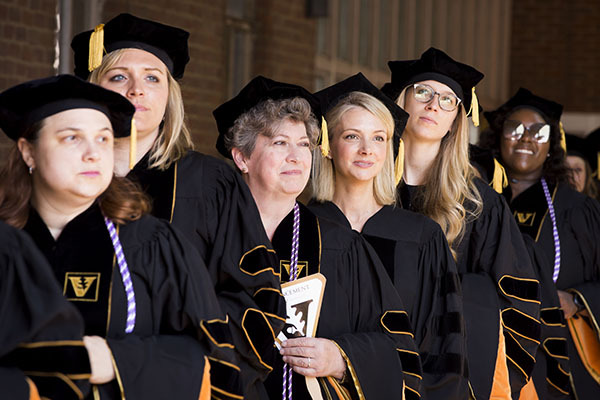 Doctoral work includes studies in lean methodology, advanced health care economics and evidence-based management, as well as the development of a comprehensive DNP scholarly project. Incoming DNP student Thomasena Moore, MSN, MHA, R.N., CPHQ, is a surgical quality management nurse consultant with the Durham Veterans Affairs Healthcare System. She believes the Executive Leadership DNP will give her research knowledge and skills that she can use to improve the VA system. Her DNP work will seek to discover if the quest for benchmarked metrics has an adverse effect on patient care. “I think it is important to validate the efficacy of national benchmarked metrics and the effects that these metrics may sometimes have on overall patient safety and quality of care,” Moore said. 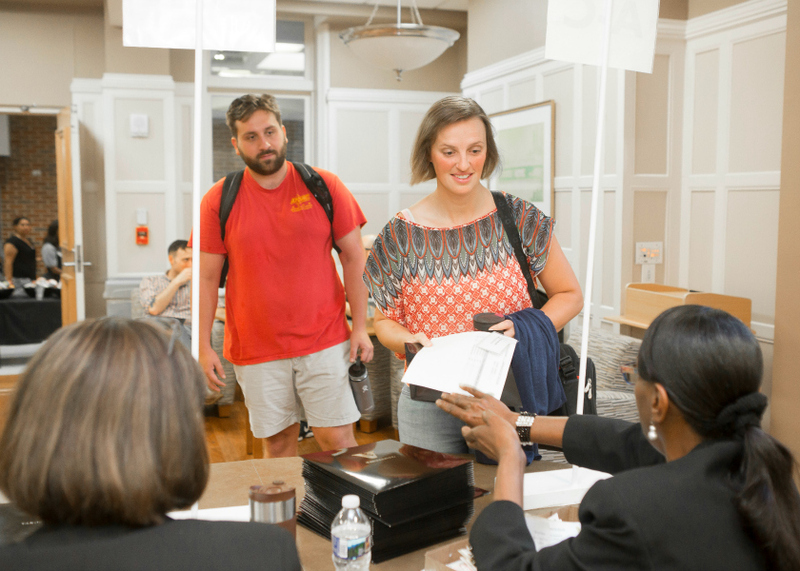 Incoming students Adam Sadler and Caroline Booth pick up materials on the first day of PreSpecialty orientation from Admissions’ Assistant Directors Cheryl Feldner (left) and Sandy Church. Student volunteer Lizzie Ranhiem (center) welcomes students and directs them into Godchaux Hall on the first day of orientation. 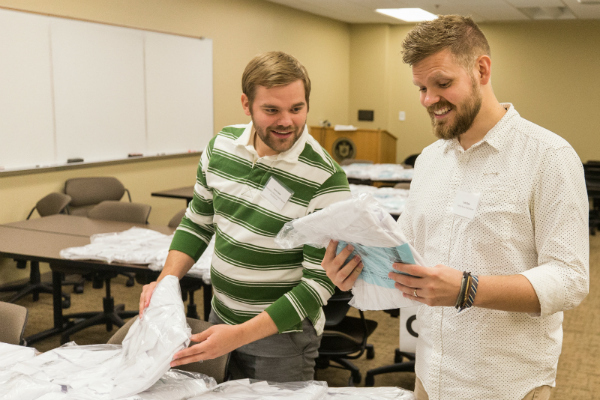 New PreSpecialty students Kevin Baer (left) and Todd Baer collect their white coats on the first day of orientation. Younger brother Todd Baer chose nursing over becoming a physical therapist. Kevin Baer knew he wanted to work in mental health and was drawn by the holistic approach toward patient care that nursing provides. 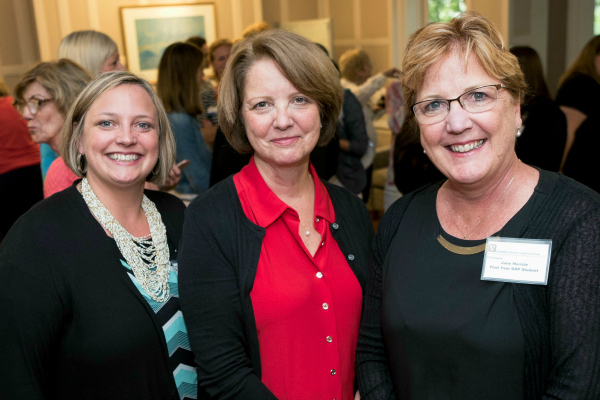 From left, Jill Seys, Norine Watson and Jane Mericle are three of eight students in the inaugural Executive Leadership DNP program.